Bernard joined Fults Commercial Real Estate in 2013. He is an Executive Vice President with the company responsible for the strategic operations and commercial investments. Bernard has over 40 years experience in leasing, management, investment, and development of commercial properties for private and institutional clients. He has participated in the leasing of over 20 million square feet of commercial space. Bernard began his real estate career as a marketing representative for Western Management Company in Dallas, Texas. In 1981, he became a partner in the Fults Companies. As President and Principal of Fults Management, Bernard was responsible for leasing and management of up to 20 million square feet of commercial properties located throughout the southwest and southeast United States. In 2002, Bernard joined PM Realty Group as an Executive Vice President - Central Region for four years. In 2006, he became Executive Vice President/Managing Partner with Bradford Companies and stayed there for four years. 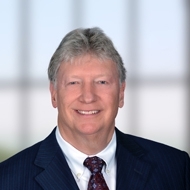 Prior to joining Fults Commercial Real Estate, Bernard formed Deaton Commercial specializing in tenant representation, commercial investments, and project leasing. Born and raised in Jackson, Mississippi, Bernard is a graduate of The University of Mississippi with a Bachelor of Business Administration Degree. He currently resides in Dallas and is married to Libby and has one daughter, Amanda.